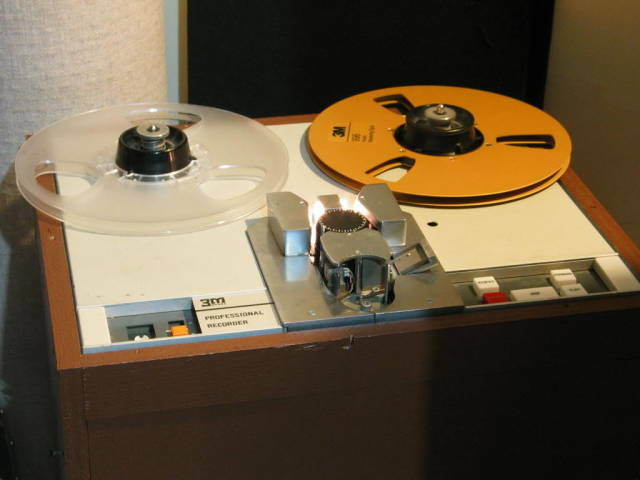 The use of a single electronics housing to hold 16 tracks of record and reproduce electronics has permitted the construction of a two inch recorder/reproducer that is as small as a normal four track machine. The system features full remote operation, high strength construction, and a new capstan drive method that sets a new standard in timing accuracy. 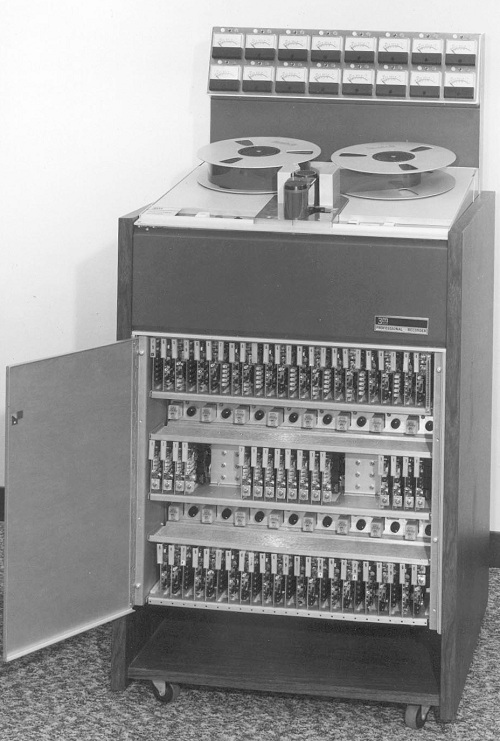 The system to be considered here is the combination of a 3M Isoloop audio tape transport equipped for two-inch wide tape and a sixteen track record/playback electronics package. The overall size is less than 30 inches square by 5 feet high. Full remote control has been provided with special attention being paid to making the operation simple and dependable. 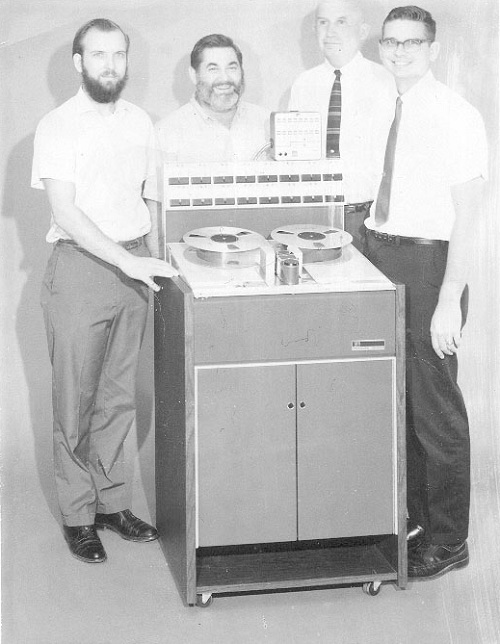 The performance specifications are generally the same as the present 3M C-401 recorders with some improvements. In addition, the C-401 printed circuit cards are utilized to make the machine more compatible with existing equipment. The basic console and transport are essentially identical to the current versions. The transport is pivot mounted in the top of a rectangular plastic-laminated wood console. Below the transport is mounted a single electronics package which is 24 inches wide by 21 inches high. The meter display panel is mounted above the transport on metal risers. 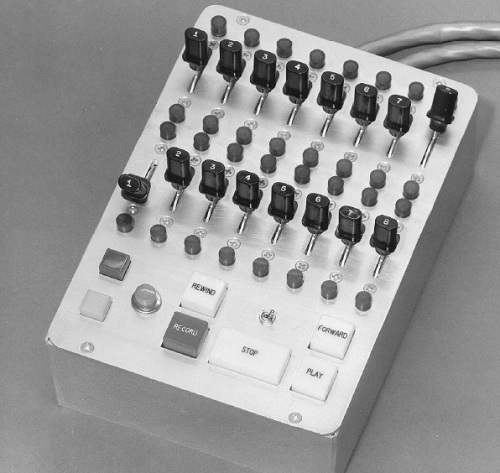 The system is completed by the addition of a self-contained power supply in the lower rear of the console and a remote control cable on the end of a 25 foot cable. 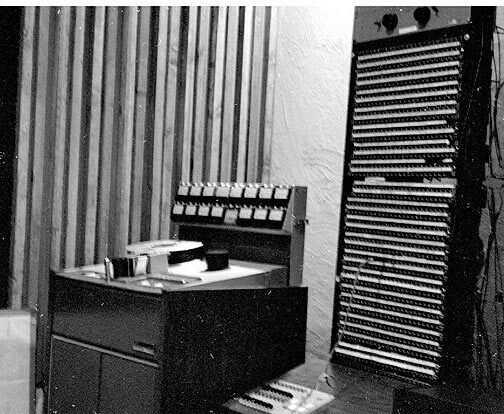 Dale Manquen and the production version of the M56. Photo courtesy of Dale Manquen. 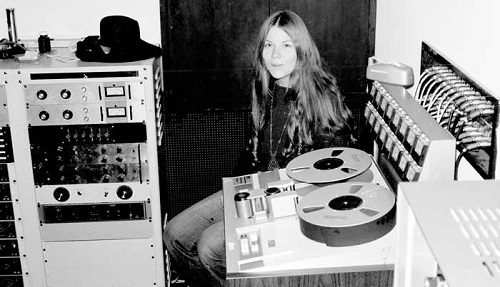 Assistant Ellen Burke with the 3M-M56 during a session at Wally Heider studios San Francisco in 1971. Photo courtesy of Dale Manquen. 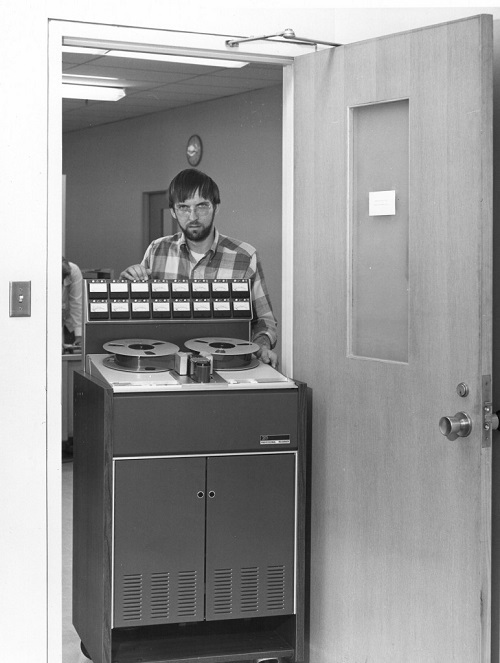 Do you have content, to add, about the 3M M56 Tape Machine or associated topics? Please feel free to Share it, here!